Tasty Cocoas chocolates are one of the easiest and most delicious ways to receive a steady dose of wellness-boosting CBD every day. CBD (Cannabidiol) became extremely popular as a supplement when recent scientific research revealed that this cannabinoid has many of the potential benefits of medicinal marijuana without causing the illegal high of THC. While there are many ways of consuming CBD (oils, vape liquids, edibles, CBD-rich marijuana strains, etc. ), one of the most enjoyable and reliable ways is through CBD chocolates that have been tested and standardized to offer a specific amount of CBD with each piece. What are Tasty Cocoas CBD Chocolates? 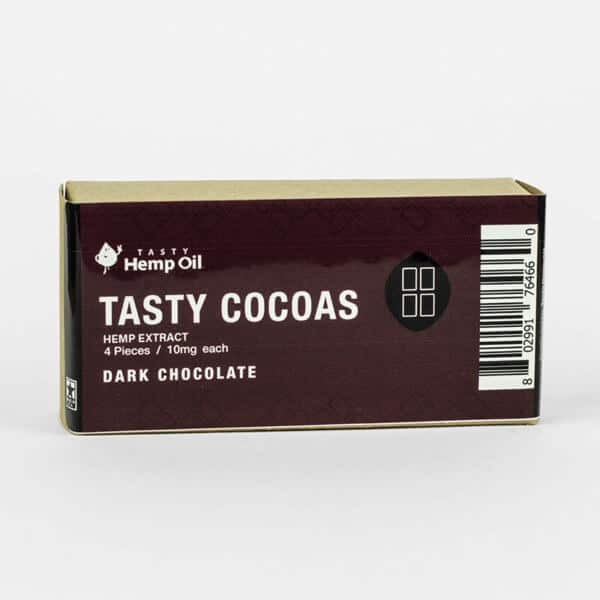 Tasty Cocoas chocolates are made with the highest-quality cocoa and raw hemp oil. This hemp oil is derived from the industrial hemp plant, which is part of the cannabis family, but it is not the same as marijuana. Hemp oil contains a lot of the beneficial CBD cannabinoids and only minute traces of THC, which makes it legal to consume and ensures that you can’t get a high from this product. By adding the hemp oil raw to the chocolates, you get a full boost of 10mg of CBD with each chocolate piece. You can order either a two-piece box or a four-piece box of chocolates that are individually wrapped and ready to consume. Currently, thousands of people worldwide enjoy the relaxing effects of CBD after a hard day’s work and to avoid the build-up of stress. CBD may also help you regain a healthy appetite; this is why it is often taken together with THC by patients undergoing chemotherapy. CBD is a safe and natural substance. Why Choose Tasty Cocoas CBD Chocolates? Consuming your CBD in chocolate form ensures that you get your CBD dose in an easy and pleasurable way. It is especially suited for people who do not like vaping, smoking, eating raw oil, or cooking complicated hemp oil edibles on their own. CBD chocolates are an easy, delicious, and safe method to get all the goodness of cannabidiol. 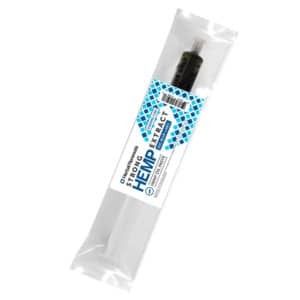 When it comes to CBD products, it is vital to find a reliable vendor like Healthy Hemp Oil. By trusting a certified, specialized vendor, you ensure that you receive exactly what you pay for! Tasty Cocoas CBD Chocolates are meant to be eaten and not consumed in any other way. It is best to eat half a piece of the wavy CBD chocolates and wait for 10 to 15 minutes before deciding if you need another half, especially if it is your first time trying CBD (though it might be hard to resist!). There are no known side effects to taking CBD, but you might relax to a point where you want to sleep and not be productive, so it is best taken late in the day when you can sleep afterward. Warning: Do not consume CBD if you are pregnant, lactating, or suffering from a serious illness, unless you consult with your physician first. If you don’t tolerate CBD well, simply stop taking the supplement or reduce the dose.